I've recently returned from a trip to Vietnam with Popular Photography Magazine's Mentor Series Treks. This was my 27th trek guiding for the Mentor Series, I had a wonderful time and I've made many new friends. A Mentor Series trek is a great way to visit wonderful locations with photography in mind. The treks are very well organized and you have wonderful instructors or mentors there to assist you with improving your photographic skills. We started in the north, Hanoi City. We photographed early morning at the local vegetable and flower markets where farmers from the countryside bring their produce and flowers to the city for sale. Later in the day we wandered through Hanoi's narrow streets shooting local life. We even fit in a pedi-cab ride in the evening. The following day we headed to Ninh Binh Province, about a 2 hour drive across beautiful landscapes and rice paddies. Ninh Binh is often referred to as 'Ha Long Bay on Land' because of the impressive limestone formations. Later that day we took a second boat ride into a "Preserved Nature Area" of Ninh Binh, Wow! The landscape was fantastic, as a matter of fact a film crew of about 500 were filming "King Kong and Skull Island move. Coming out in March of 2017. We next took an overnight train ride on the "Victoria Train" to Lao Cai, an 8 1/2 hour trip. 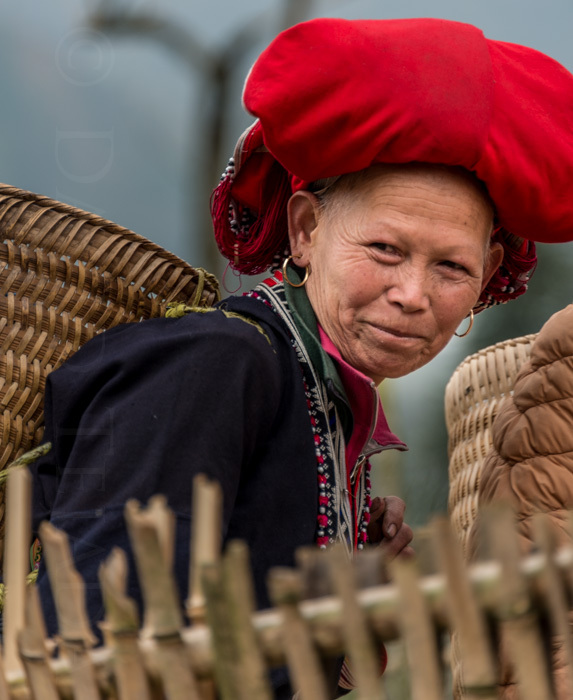 When we arrived in Lao Cai we drove to Sapa, here we photographed the local ethnic Hmong and Dao people in nearby villages. I also managed to fit in an hour message for $7.00 USD. From Sapa we headed back to Lao Cai for the train ride back to Hanoi for an early morning flight to Can Tho City in the southwest of Saigon. Can Tho City is in the Mekong Delta know as the rice-bowl of the Mekong. The rich fertile region allows for 3 crops per year, rice paddies everywhere! From here we drove about 2 1/2 hours to Saigon, stopping to photograph where every we pleased. Here are a few more images of the region. We ended our trip in Saigon where we had Vespa rides in the city and we photographed the skyline from a popular terrace top bar called the Chill Bar. I love these treks! Getting to make new friends and sharing my love of photography with the participants of the trek. If you enjoy traveling and taking pictures, you might want to think about joining me on a Mentor Series trek. My next overseas trip will be in September to Spain and Portugal. For more information regarding that trek and other locations, visit the Mentor Series site.